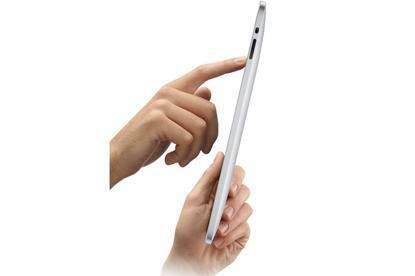 The Apple iPad's strength lies in its upgraded smartphone OS, claims Gartner analyst. Microsoft shouldn't be shaking in its boots after this week's unveiling of the Apple iPad, but the tablet computer could give the software giant fits in the future with its potential to define important device form factors as well as shape user attitudes toward alternative operating systems and cloud-based application adoption. "The iPad is interesting to Microsoft on couple of fronts,"' says Michael Cherry, an analyst with Directions on Microsoft, an independent research firm. "There is real concern as to where Microsoft is at in the phone space, and Apple just expanded the phone space into the netbook space. Netbooks have been a problem for Microsoft because people want to drive down the cost, which drives down the cost of the OS as well." Mike Silver, an analyst with Gartner, says the impact could unfold in a couple of ways. "As alternative devices become more important it makes Windows relatively less important," he says. "As more people get use to more devices with different operating systems and more of those are sold, Microsoft has less of the overall share of devices." Silver says iPad also opens up an opportunity for non-Windows devices, such as those based on Google's Chrome OS, to grab hold on some device platforms and eventually supplant Windows on the PC. Those devices could be of the netbook or tablet PC genre or even smartphones; markets where Microsoft has been less than dominant. And some say Microsoft isn't prepared to hit the iPad curve Apple just threw. "Instead of taking a full computer OS and moving it down scale, Apple has taken a smartphone OS and moved it up. This is exactly the threat that Microsoft has the least defense against," says Matt Rosoff, an analyst with Direction on Microsoft. "This device, if it can do 90% of what people need in a portable form factor, then that takes some of the netbook market away [from Microsoft]. At this point, Microsoft does not have a response. They don't have a smartphone OS they can move upscale,"' says Rosoff. Microsoft's next mobile operating system – Windows Mobile 7 – will get its first major exposure next month at the Mobile World Congress and perhaps a beta release by April, but given the company's mobile track record it's not likely to be a watershed event. "Microsoft's execution in the mobile space has not given me a lot of confidence," says Rosoff. But he says Microsoft can make some moves against iPad. "I think what Microsoft does is take Windows 7 and keep talking to PC makers and try to get them to do some innovative touch screen netbooks or PCs. Yes, they will cost more, but the pitch might be that this is a full version of Windows, it has Flash support, it does multitasking, you could put a USB input on it," said Rosoff. Those features are not found on the iPad and so Rosoff says it comes down to how much consumers want to pay and if they need all the stuff on a full PC. "The iPad is sort of a gamble on Apple's part, I don't know if this market actually exists," says Rosoff. "I don't think Microsoft will do anything urgent to respond to this other than talking to PC makers about $500 touch screens that run Windows." Charles King, principle analyst at Pund-It, agrees that Microsoft might benefit by going on the offensive and trying to define what the tablet space really is about. "Now we know what Apple thinks it is, but it is not the only vision that is viable. The strength Microsoft has is that it can show the real benefits in collaborating with partners." King says the Windows ISV community and hardware partners have the resources to define the tablet as a device that is more capable than what Apple is delivering. Forrester's Ted Schadler says Microsoft also has other issues to consider. Mobile Internet Devices, which are designed for delivering cloud-based applications. "I think Microsoft will get it. They know they have to cannibalize their apps. That is what BPOS is. They found out they make more money on subscriptions than they do on client access licenses," he says. BPOS is Microsoft's Business Productivity Online Suite, which includes online versions of Exchange and SharePoint. He also says Microsoft should port applications to iPad to combat Apple's inclusion of its iWorks productivity tools. "My advice to Microsoft is to get out ahead of the curve and put Office products on this device," says Schadler. "That is Microsoft's best chance in the cloud-enabled device category."